Buying a Logitech gaming mouse has long been synonymous with an investment in quality. But with so many different devices on offer, which deserves the title of Best Logitech Gaming Mouse? In the realm of gaming mice, the company has long established itself as a leading market force. Undoubtedly, it produces something to suit every taste and budget. But with so many options available it can be difficult to narrow down your selection to just one. You may be seeking a five-button model, or perhaps eight- or eleven-button is more your style. Whatever the case, you can be sure Logitech produces a mouse which fits the bill. 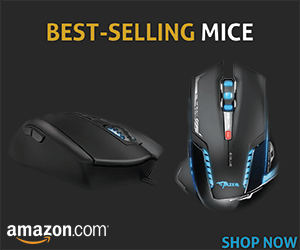 But not all mice are created equal. Whilst some are geared toward eSports others are built for speed or excel when it comes to operating multiple machines at once. But whatever features a mouse may offer, if it’s to stand out from the rest of the pack it has to offer a compelling mix of performance, usability, comfort and design. But of course, the beauty of each mouse is only truly revealed once it’s in the palm of the gamer who holds it. Some mice are designed for lovers of first-person shooters. Others are aimed at the user who wants to play for hours on end and prizes long battery life above all else. But is there a device which can satisfy all of these needs and more? 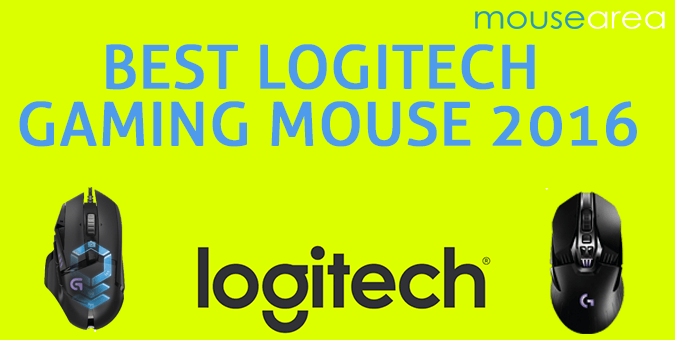 Read on and find out which device is the Best Logitech Gaming Mouse of 2017. The Logitech G900 is a high-end gaming mouse aimed at consumers who want the full range of features. 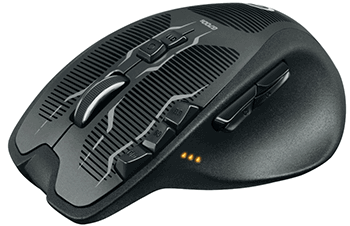 Working with both wired and wireless setups the G900 delivers crisp, precise clicks and swift movements. Ideally suited to those who like the claw grip, it is especially good for eSports. Its Pixert PMW3366 optical sensor delivers some of the fastest performance around and is widely considered one of the best in the industry. With DPI running from 200 to 12,000 there are no smoothing or filtering issues and control is never sacrificed for speed. The G900 could well be the number one option for first-person shooters and is undoubtedly set to capture a significant part of the gaming mouse industry. The Logitech G502 FPS gaming mouse sets itself apart from the competition with its 11-button design. Whilst most gaming mice have just five or six buttons, with the G502 FPS Logitech is seeking to lure in the more sophisticated gamer. But more buttons does not mean anything is lost in terms of comfort and design. This mouse still offers excellent palm and claw grip and is able to track across a range of surfaces flawlessly. With DPI ranging from 200 to 12.000, the G502 FPS offers impressive sensitivity for this price range. It can also automatically set up profiles for games installed on your PC, a unique feature not often seen in other devices. And with the ability to save up to three profiles in its onboard memory, travelling with the G502 FPS is a breeze. 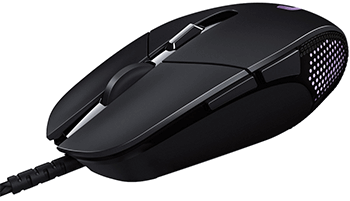 At just 5.1 ounces the Logitech MX Master is one of the lighter gaming mice on the market. But don’t let that fool you. This wireless device packs a range of features which can satisfy even the most demanding consumer. Perhaps most remarkably, thanks to its smart Bluetooth technology and Easy Switch button, the mouse can control up to three machines simultaneously. Not only that, but it can do it from up to thirty feet away. And with its excellent battery life, the MX Master is establishing itself as one of the best in its class.Under the hood, we find a Darkfield Sensor which supports up to 1600 DPI with a bottom limit of 400 DPI. What’s more, the speed adaptive scroll and auto shift feature means scrolling is lighting fast both horizontally and vertically even on the most demanding games. And for those who like to really have things just the way they want them, the Logitech MX Master, with its full customizable button set, will be a delight. Designed with the help of professional gamers, the G303 Daedalus Apex Performance Edition is a sleek and lightweight mouse with superb gliding properties. Featuring Logitech’s metal spring button tensioning system, it is designed to withstand some 20 million clicks over its lifetime. That should be more than enough to satisfy even the most avid gamer for several years. What’s more, it’s fully customizable right down to the built-in RGB lighting system. 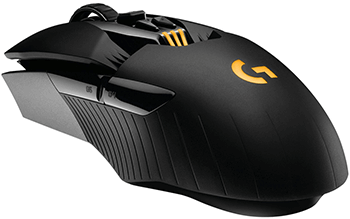 That said, the ‘G’ logo on the mouse has a tendency to overheat; this may or may not be fixed by Logitech but either way, it’s something to keep in mind if you intend to use the device for long periods of time. On the positive side, this gaming mouse is armed with Logitech’s proprietary Delta Zero sensor technology with the PMW3366 sensor module. What that means is the sensitivity of up to 12,000 DPI, incrementally adjustable from 200 DPI. The compact body of the mouse is good for gamers with smaller hands, but that’s not to say the G303 ever feels anything other than solid and well-built. If there is a complaint, we could make here it’s the lack of any possibility to alter the mouse’s weight. 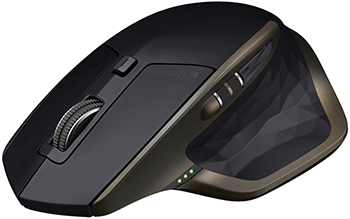 At 5.4 ounces the G700s is one of Logitech’s heavier gaming mice and one of the heaviest on the market. But for those who enjoy the greater friction and grip which comes with such weight, this could be the gaming accessory for you. 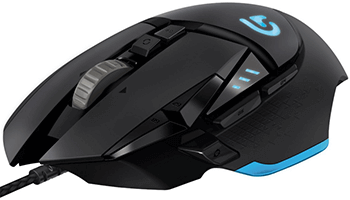 The Logitech G700s gaming mouse operates both in both wired and wireless environments. Questions have been raised about its battery life, but by plugging in via the mini USB, there’s no need to miss any of the action. With a natural curve which is better suited to right-handers, the G700s may alienate a large number of potential customers. But it may win back doubters with its easy-to-use 13-button design. That, combined with a DPI switcher which allows you up make adjustments on the fly, is likely to gain it many fans. The DPI ranges from 800 up to as high as 8200 with an indicator built into the side to give users information on sensitivity. Surface-wise the G700s offers no issues, sliding perfectly across them all with its gaming-grade laser which is capable of catching even the slightest of movements.